Liza Bell struggled with selective muteness until the age of three. But as Secretary-General of Model United Nations today, Liza has found her own voice. 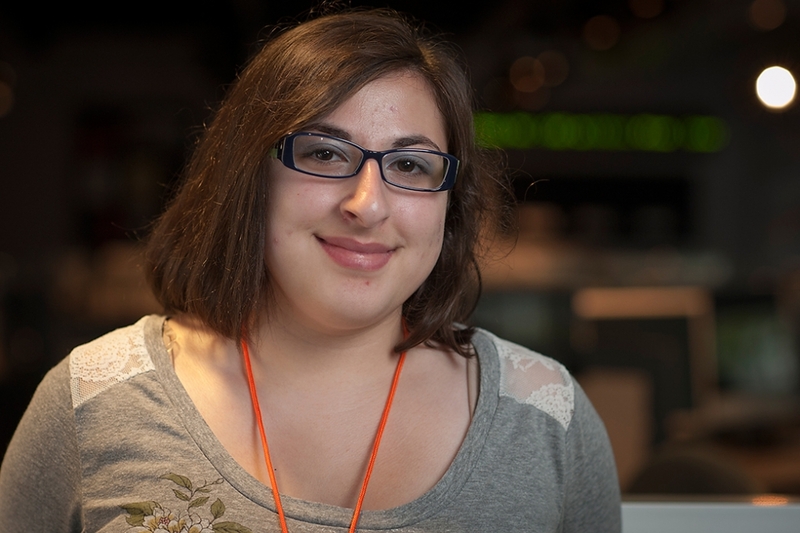 Liza, 17, who is entering her senior year at Connetquot High School this fall, recalls her earliest journalism experience creating a newspaper when she was seven years old. When she was bored in the summertime, she would write about what was going on in her house. Since then, Liza has not received any training in journalism, but she has strengthened her writing in school. She also gained some experience writing for the Connetquot High School newspaper, which students run online. She enjoys writing about clubs and elections. One of her greatest influences in writing was her English teacher, Mr. Fertmann. “Whenever he gave us an assignment, he would tell us to do whatever we wanted to do. If I was hesitant about writing something, he would tell me to just go for it,” Liza said. Although Liza is interested in journalism, she views it as an activity more than as a career path. She hopes to major in international relations and art history. No matter what her career is, Liza feels that education in journalism can be useful. Liza is very passionate about her role in Model UN, where students represent delegates from different countries to resolve the prevalent issues facing the world. The club has also allowed Liza to become more interested in editing after becoming Secretary-General. “There are six people who write under me, and I have to edit all of their work,” Liza says. Editing can often be difficult, but it has provided her with excellent experience, she said. Liza is looking forward to the Robert W. Greene Summer Institute for High School Journalists because it will be her first time actually learning journalism. Journalism excites Liza because of its transition from “text to media,” its diversity, and how “everyone is able to connect on one topic.” She is also looking forward to learning about other kinds of journalism such as broadcasting. Besides her role as leader at Model UN, Liza is also carries a full load of activities and classes at school. Liza takes both Italian and Spanish at school, and enjoys global studies and international politics. She is fascinated by the Olympics and how countries must put aside conflict to all come together. Liza also loves art history. Liza anticipates understanding more about the journalism industry, which she calls “fast paced.” However, with the swift pace Liza Bell has been going in high school, there is no way she can fall behind. Thanks Natalia for a wonderful bio. I enjoyed reading it so much and love that I got the opportunity to get to know you better. Thanks Liza! I loved the bio you wrote for me, and I really enjoyed interviewing you and getting to know you better this week!